We can't get enough of this model-DJ! Not only does he spin beautiful party tunes, his voice is like music to our ears, too, especially with that cute Aussie accent! Watch his video interview. Watch how Enzo, Enrique, Paulo, Anton, Hideo, Ahron, and Ejay prepared for the hottest show of the year--and find out how they really felt <i>after!</i> Catch the telecast of the Cosmo Bachelor Bash on ETC this Sunday, Nov. 27, at 9PM! Finally see what went on <i>backstage,</i> where we talked to your fave celeb Bachelors! 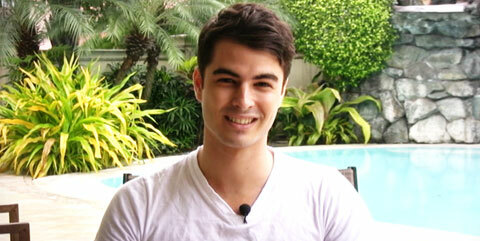 Watch the telecast of the Cosmo Bachelor Bash on ETC next Sunday, Nov. 27, at 9PM! In case you missed this year's hottest event, we make sure you get to catch up! Watch the rehearsal video we played at the finale, when all the men came out on the ramp! Due to insistent demand, you can now watch the much talked about video, which paved the way for Jake's grand entrance at the hot, hot, HOT Cosmo Bachelor Bash 2011! Stars were spotted off-stage, too! See which celebrities went <i>naughty-</i>cal and ogled the hottest men in the land at the wildest party of the year. Missed the HOTTEST party of the year? Watch this sneak preview of our video coverage of last night's BEYOND HOT Cosmo Bachelor Bash 2011! 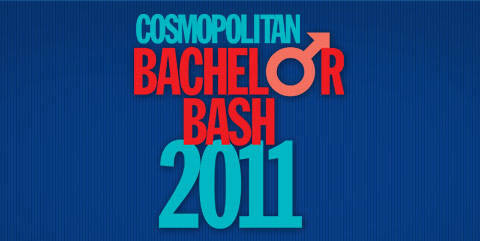 Are You One Of The Cosmo.ph Readers Who Won Invites To Cosmo Bachelor Bash 2011? We look forward to seeing these winners of TWO TICKETS EACH at the HOTTEST party of the year! See if you're one of them! Ejay Falcon, Enrique Gil, Paulo Avelino, Ahron Villena, and Hideo Muraoka personally invite YOU to watch for the Bachelor Bash next week!